With a stay at Sneeuberg Nature Reserve in Nieu-Bethesda, you'll be 18.5 mi (29.9 km) from Nieu-Bethesda Church and 18.6 mi (29.9 km) from Kitching Fossil Exploration Centre. Featured amenities include multilingual staff, laundry facilities, and coffee/tea in a common area. Free self parking is available onsite. Located in Eikenhof, Eikenhof Country Guesthouse is within a 15-minute drive of Klipriviersberg Nature Reserve and Ohenimuri Golf Club. With a stay at Aberdeen Self Catering in Aberdeen, you'll be a 3-minute walk from Wesleyan Methodist Church and 14 minutes by foot from Aberdeen Golf Course. Free self parking is available onsite. Located in Boksburg, Convallaria Guest Lodge is a 4-minute drive from Value Mall and 5 minutes from East Rand Mall. Free self parking is available onsite. When you stay at The Whale's Tale in Bluff, you'll be 5 minutes by car from Golf Course at The Bluff. Free self parking is available onsite. 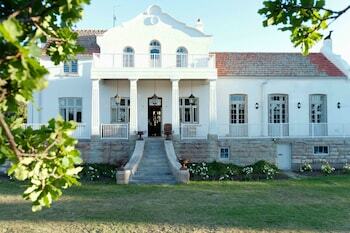 With a stay at Montagu 4 Seasons in Montagu, you'll be within a 15-minute walk of Montagu Museum and Cannon Hill. Self parking (subject to charges) is available onsite.